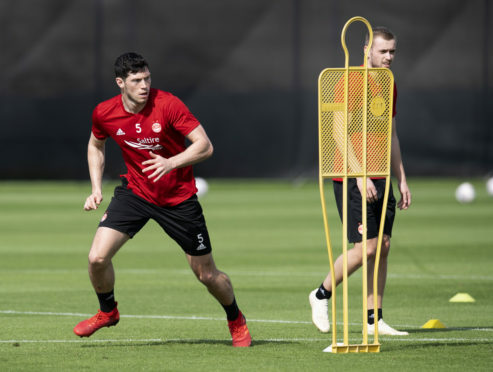 Aberdeen are set to field more enquiries for in-demand centre-back Scott McKenna on transfer deadline day. Both Stoke City and Middlesbrough are believed to have bids knocked back for the Scotland international this month, with the Dons understandably keen to keep hold of him until the summer at least. Manager Derek McInnes has previously stated he reckons McKenna will go straight to the Premiership when he eventually leaves Pittodrie. According to reports in The Sun, the Dons have also knocked back an initial offer from MLS club Gary Mackay-Steven, who is out of contract in the summer. New York have already approached Aberdeen to speak to Mackay-Steven about a pre-contract but are keen to bring him to the Big Apple for the start of their season in March. Interest from the Dons in former winger Jonny Hayes at Celtic was deemed unlikely earlier this week, due to the finances involved and Brendan Rodgers’ reluctance to let him leave.